Adil’s practice focuses primarily in the areas of capital markets, mergers and acquisitions, corporate governance and securities regulatory compliance. He has experience assisting issuers and underwriters on a range of transactions, including public and private offerings of equity and debt, mergers and corporate reorganizations and share and asset sales and acquisitions. Adil’s practice also involves advising issuers on general corporate, commercial and securities law, including TSX, TSXV and CSE listings, continuous disclosure, and corporate governance matters. He has experience assisting public and private companies in all stages of the business lifecycle. Adil received his Bachelor of Commerce with a major in Finance from Dalhousie University. During his undergraduate degree, Mr. Hirji spent a semester in the United Kingdom, as well as a semester in China on an internship. Adil received his LL.B (Honours) from the University of Durham and completed the Canadian accreditation examinations. Adil also completed the Canadian Securities Course certification. 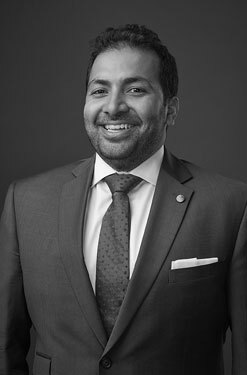 Adil joined Burstall LLP as a articling student in 2017 and became an associate upon being called to the Alberta Bar in 2018. Prior to joining the firm, Adil worked for the TSX Venture Exchange in the Listings/Capital Formation Group. Prior thereto, Adil operated a small business and has also worked for investment banks in a variety of roles including Corporate Finance and Oil & Gas Research. Adil is a member of the Council of Champions of the Calgary Public Library Foundation Board of Directors and a member of the West Island College Alumni Advisory Board.